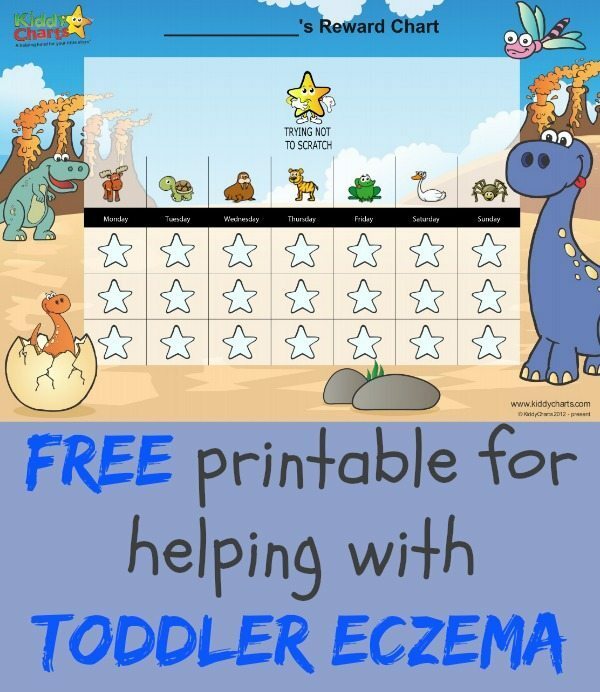 This is a guest post from Mei, aka MarcieMom, who blogs about child and toddler eczema on EczemaBlues.com. Mei has a baby girl with eczema, and is passionate about helping other families with eczema. She leads many eczema initiatives, including a national eczema fund, a support group and illustrates an eczema picture book ‘A to Z Animals are not Scratching!’. Why do children (and even adults) scratch their eczema? Scratching is like a reflex and a relief to the itch – apparently, by scratching, the nerves trigger the body to release endorphins that gives a feel-good feeling and block pain information. Also scratching damages the itch nerves temporarily, which takes from a few seconds to hours to be repaired. Scratching can also sometimes become habitual, where a normal response (i.e. scratching) becomes habitual and more situations result in the scratching. Dr Christopher Bridgett, explains more in this post on habit formation and how to reverse the scratching habit. To reduce the scratching, the eczema has to be managed – good skin care routine, moisturizing, being aware of known allergies and avoiding them, appropriate topical treatment under doctor’s supervision are needed. While we are managing our child’s eczema, there would still be itchy and scratchy times. Distracting the child, for instance with sign language and colouring. Rewarding the child for not scratching! Replaced the scratching with another action, e.g. holding tight/ tapping the skin. It’s not going to be easy for both us the parents, and our children, to stop the itch and the scratching in toddler eczema. If you don’t like the reward chart design we have put together for you, feel free to build your own within our reward charts section, they are all free to download! Just choose the “No scratching” behaviour from within the Looking After Yourself group in our chart builder, and you are away. We have 15 designs to choose from. Lovely. I am loving this. Kids are doing all the time this scratches. I can’t understand how i can stop them. But thank you. Thanks Helen for inviting me to guest blog! It’s indeed a good initiative to reward kids using reward charts, motivating kids (and adults) positively is always better than punishing, keep up the good work!